This lovingly maintained home could be your starter home or your forever home! Move-in ready new Furnace/AC and hot water heater installed in 2017. New 30 yr roof installed last month. New exterior paint and newly sodded back yard! 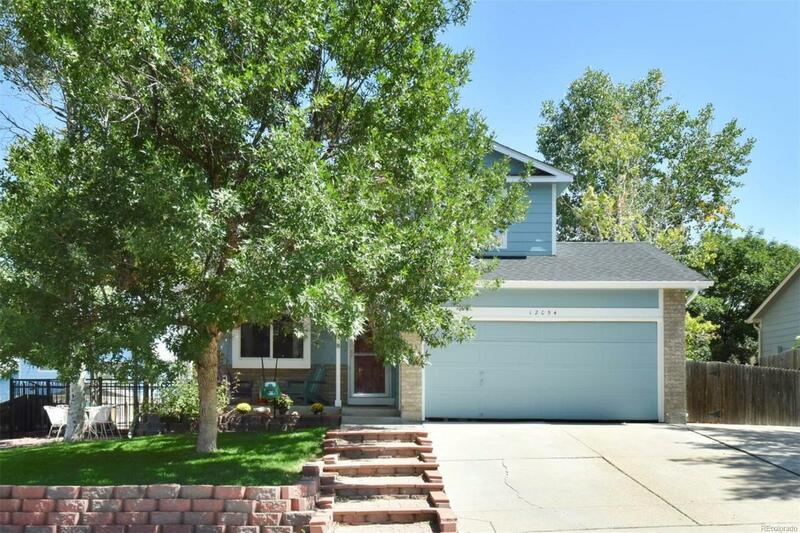 Located in the Concord subdivision with EZ access to I25, Anythink Library, Skyview Elementary, restaurants and shopping. Covered front porch has adjacent intimate patio seating for front yard gatherings.Vaulted living room opens to dining room that leads to oversized deck.? Fully appointed kitchen features island and pass-through counter to dining room. Open loft overlooks LR. Master bedroom has dual entry to full bath from either the bedroom or hall. Second bedroom completes the upper level. Fully finished bsmt consists of 3rd bedroom suite, complete with full bath and walk-in shower plus laundry facilities.Huge back deck surrounded by flowers, newly sodded yard & automatic sprinkler system. Definitely no shortage of space! Plus a 2-car garage! Offered by Rocky Mtn Realty Group.